Speaker Series: Join Daniel Loughran, co-organizer of GoGeomatics Toronto for our February social where he will discuss how to get started in creating your own custom web maps! This month’s social is taking place on Monday, February 25th (7:00PM) at Betty’s On King (Upstairs!). Speaker: Daniel Loughran works as a consultant GIS Technican with Metrolinx, where he has worked for the past 12 months. 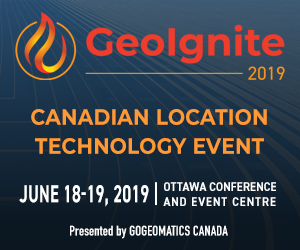 Daniel completed his undergraduate program at Liverpool John Moores University in the UK where he obtained a Bachelors in Geoscience, and recently graduated from Ryerson University with a certificate in Applied Digital Geography and GIS. Daniel also has a background as a Data Analyst, having worked in the offshore oil and gas industry from 2011-2017. His knowledge of web development is mainly self-taught, having started with a free online course in August 2016!